As reported by Airman 1st Class Cody R. Miller, 325th Fighter Wing Public Affairs in his article Canadians test capabilities at Tyndall’s Combat Archer and Combat Hammer, Royal Canadian Air Force (RCAF) personnel took part in exercises Combat Archer and Combat Hammer at Tyndall Air Force Base (AFB), Jan. 10 to Feb. 10. This was the first time the 401st Tactical Fighter Squadron (TFS) deployed a detachment of personnel since fall 2015. The 401st is from Cold Lake, Alberta, Canada, and brought approximately 120 personnel. 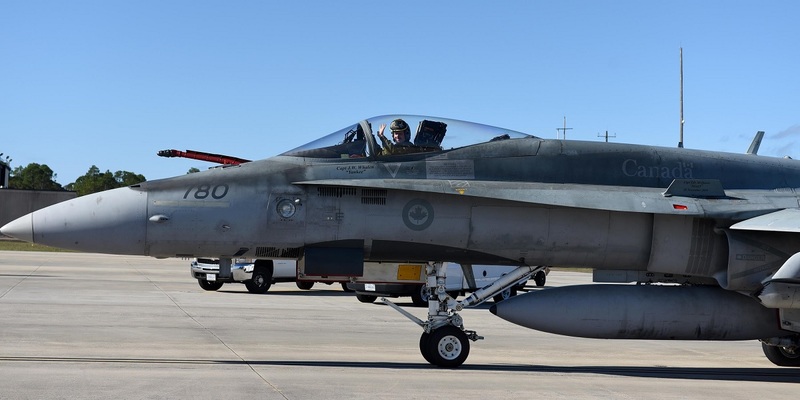 The training provided members of the CF-18 Hornet squadron with a rare opportunity to employ live air-to-air and air-to-ground weapons systems in a permissive and controlled environment. Both Combat Archer and Combat Hammer are part of the Weapons Systems Evaluation Program operated by the 53rd Weapons Evaluation Group at Tyndall. The program goal is to evaluate a unit’s capability to employ a variety of weapons systems throughout all stages of the process, from storage and preparation, to use on a target. 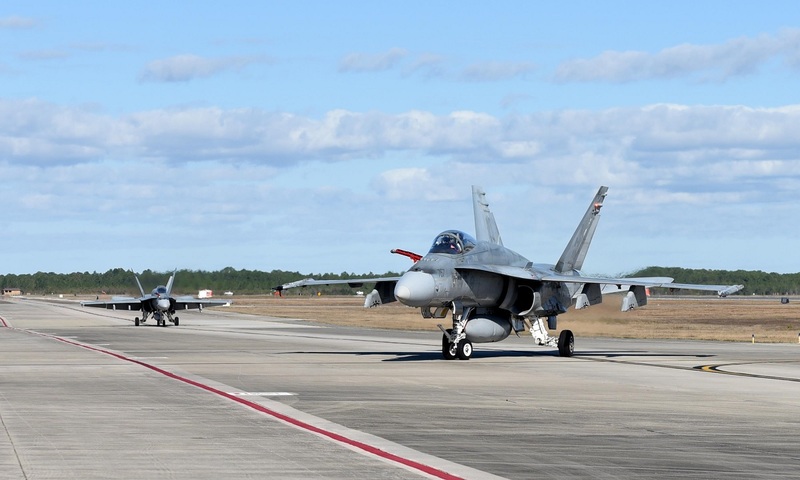 The Canadian aircraft that took part in the exercises included 18 CF-18 Hornets, a CC-150T Polaris air-to-air refueling aircraft, a CC-130T Hercules air-to-air refueling aircraft and 2 Dornier Alpha jets. These jets all coordinated with Tyndall Airmen to improve air-to-air and air-to-ground tactics, as well as improve international relations between countries. During Combat Archer, 22 missiles were fired for tactical evaluation. The exercises were split into three parts, each with its own set of objectives. The first part was one week of general aircraft training alongside U.S. Air Force (USAF) F-15 Eagles and F-22 Raptors. Then they entered a two-week phase of Combat Archer. This entails live air-to-air missile tests, using AIM-120, AIM-7 and AIM-9 missile systems against the BQM-167 aerial target. Finally, part three is known as exercise Combat Hammer. 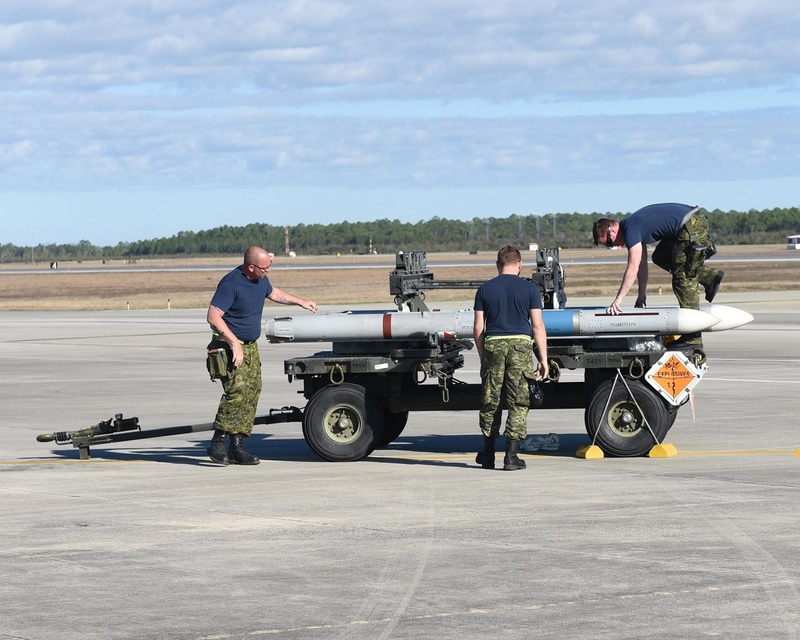 The Canadians took part in a full-scale, live air-to-ground bombing exercise, using GBU-12 laser guided inert bombs, coupled with state of the art targeting telemetry, against realistic and live targets located at the Eglin AFB target range. JASDF F-35s made 7 emergency landings before crash. However Japan assures U.S. it will continue to buy the jet.